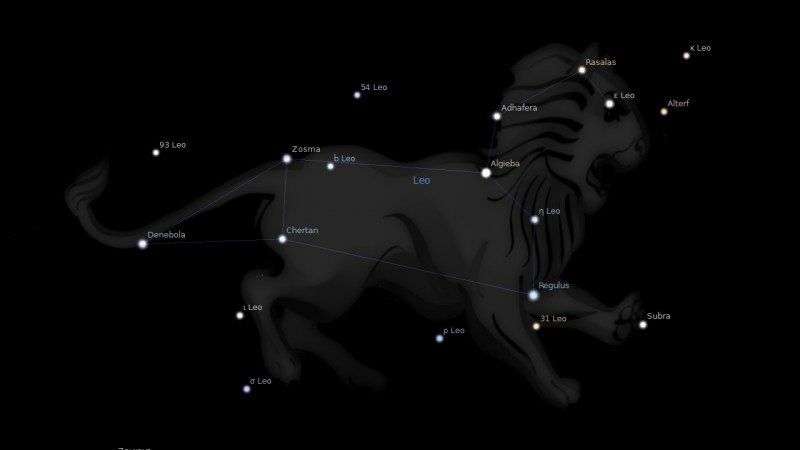 Ras Elased Australis is a yellow star in the head of the Lion, constellation Leo. Algenubi is another name, both of which come from the Arabic for the southern star of the lion’s head. The astronomical classification for the fixed star is Epsilon Leonis. 1. Fixed Stars and Constellations in Astrology, Vivian E. Robson, 1923, p.123. 3. Fixed Stars and Their Interpretation, Elsbeth Ebertin, 1928, p.50. 4. The Living Stars, Dr. Eric Morse, 1988, p.60. 5. The Fixed Star Health and Behavior Imbalance, Ted George and Barbara Parker, 1985, p.61. Ras Elased Australis conj’s my MC, and Ras Elased Borealis is at the midpoint of my MC-North Node (which corresponds to Madonna’s birthday, the day Elvis died, and the day I saw Yes). Ah the good old days… when life seemed simpler. al genubi as in obiwan kenobi.. It conjuncts my north node (20º) which trines with MC, Neptune and vertex ….sounds serious! I have a very tight orb Chiron & Earth conjunction to this star which a part of my Uranus, Neptune &Vesta on Dheneb Yod apex which goes out to Chiron & Earth and then out to my southnode on Bellatrix for the base.I have spoken to you previously about this Yod however I’m curious what your throughts are to Chiron & Earth conjunct this star? (It is also within orb of Rad Elased Bor. and opposite my Saturn and Sun conjunction on Nashira.) Would the excerpt on Uranus & the spine etc. have any influence? Also do you think because this star has the nature of Saturn that the opposition to my Saturn would cause too much stress even though my Saturn is placed well on Nashira? Also, thank you so much for your concise and vast collection of posts on fixed stars! It’s difficult to find astrology sites with such a great database, and I consult your fixed star collection all the time! HI Jamie. I have the asteroid Karma conjunct Ras Elased Aus, with my venus and the asteroid bearing my husbands name conjunct those on Ras Elased Bor. The description above doesn’t really fit, any ideas? All are sextile my mars, trine my Saturn, and square my Neptune… in the 8th house.